Q1: Is Lifeguard-Pro Nationally & Internationally Recognized? Lifeguard-Pro offers Nationally & Internationally Recognized Lifeguard, Water Safety Instructor, CPR, and First Aid certification courses. For years, Lifeguard-Pro has been rapidly replacing the old, out-dated, unavailable, and inconvenient style of Lifeguard certification courses. We offer services in all 50 U.S. states, America's 300 largest cities, and up to 30 countries around the world. Lifeguard-Pro Lifeguards protect the lives of millions of swimmers around the world -- every day! Lifeguard-Pro certifications are accepted for employment in all 50 U.S. states and 30 countries around the world. Isn’t it time that you upgraded to Lifeguard-Pro? Q2: How is Lifeguard-Pro More Convenient? Than the Old-Style Certification Company? More Convenient. Lifeguard-Pro is dedicated to reducing the number of deaths by drowning worldwide by making aquatics safety training more available. As such, we have replaced the industry’s old, outdated, inconvenient style of earning a Lifeguard or Water Safety Instructor (WSI) certification. Lifeguard-Pro offers a far more convenient option! We offer a comprehensive, preparatory, online Home-Study Course that enables you to learn in the comfort and convenience of your own home, and progress at your own pace. No more spending your time and money commuting to multiple inconvenient classes! No more spending long boring days sitting in a classroom with unmotivated strangers! Once you've completed your online Home-Study Course, simply join your local instructor for a convenient ONE-DAY In-Person Training Session to learn and practice your course required physical skills. We conveniently service all 50 U.S. states, over 1,500 American cities, and over 30 countries around the world -- so wherever you are, we're nearby! Lifeguard-Pro certified Instructors will conduct your local ONE-DAY In-Person Training Session on the date that you reserve -- even if you're the only candidate in the class! Certification has Never Been this Easy! Making Safety Training More Available! How It Works. We offer a comprehensive, preparatory, online Home-Study Course that enables you to learn in the comfort and convenience of your own home, and progress at your own pace. We conveniently service all 50 U.S. states, over 1,500 American cities, and over 30 countries around the world -- so wherever you are, we're nearby! LIfeguard-Pro certified Instructors will conduct your local ONE-DAY In-Person Training Session on the date you reserve -- even if you're the only candidate in the class! World's Most Convenient Lifeguard & WSI Certification Courses! Q4: What Happens If I Fail the Course? What Happens If I Fail My Course? If You Fail any Part of the Course, You Can Repeat It for FREE! Part One of each certification course is there preparatory Home-Study course. You will have 3 attempts to pass each required exam. This part of the course does not usually present a problem for most candidates. This part is straight-forward and easy to pass, as long as you read the course textbooks and study the course videos. Part Two of each certification course is the In-Person Training Session. If you fail to pass your In-Person Training Session, you will not immediately fail the course. Rather, you will be invited to join us in any other In-Person Training Session to re-attempt the required physical skills that you did not pass in your initial In-Person Training Session. There is no charge for you to attend an additional In-Person Training Session with other paying students. In that group class you will only be required to successfully complete the required physical skills that you failed to complete during your initial In-Person Training Session. For up to 6-months, you may attend as many group In-Person Training Sessions as you need to pass all of the required physical skills for certification. Alternatively, if at your In-Person Training Session, you failed to pass the required physical skills for a specialty certification (e.g., Lifeguard-Deep Pool, Lifeguard-Waterfront, etc. ), but you satisfied all of the required physical skills for a lesser certification (e.g., Lifeguard-Shallow Pool or Lifeguard-Swimming Pool), you can accept the lesser certification for which you passed all certification requirements. Keep in mind that our instructors do not want to fail you. Think of our instructors as your coach dedicated to coaching you toward satisfying the requirements for Lifeguard certification. We're on your side! Talk to us and you’ll discover that there is nothing to fear. Think of Us as Your Personal Coach - We Want to Help You! What are My In-Person Training Options? You have three convenient options to complete your course required In-Person Training Session. Once you have successfully completed your online preparatory Home-Study Course, join us for your course required ONE-DAY In-Person Training Session. We offer In-Person Training Session in all 50 U.S. states, over 1,500 American cities, and over 30 countries around the world. So, wherever you are... we're nearby! Lifeguard-Pro certified Instructors will conduct your local In-Person Training Session for you at the location and date you reserve -- even if you're the only candidate in the class! If you think our In-Person Training location is too far of a commute for you, consider that your In-Person Training Session is only ONE-DAY! That means you can drive to a ONE-DAY class, and drive home with your certification! That's worth a little extra drive time, don't you think? Once you have successfully completed your online Home-Study preparatory course, but you do not want to drive to one of your local In-Person Training locations for a ONE-DAY class, we can still help you. If you'll eventually be living, working, or going to school in a different area, simply let us know where and when you will be in that other area. We will attempt to arrange a convenient local ONE-DAY In-Person Training Session for you in or near that area. We teach in all 50 U.S. states, over 1,500 American cities, and over 30 countries around the world. So, wherever you are... we're nearby! Once you have successfully completed your online Home-Study preparatory course, if none of our In-Person Training locations are convenient to you, we may be able to arrange a convenient Video Conference Training (VCT) for you. Contact us to see if you qualify. A VCT (Video Conference Training) will enable you to participate in the full course required In-Person Training Session, when there is no In-Person Training location near you. With the VCT option, you will perform the course required physical skills (live on camera or recorded on video) for your remotely supervising instructor. In a private one-on-one session, you and your instructor will video chat live through your computer via the internet. During this VCT In-Person Training Session, your instructor will teach you and help you practice all of your course required physical skills. You will perform many of these skills live during your video chat with your instructor. All skills that you cannot perform live for your instructor during the video chat, you must perform on your own. Using your cell phone (recording in your LOWEST video resolution), you will take short video clips of yourself performing each of those skills. Each video clip should show you performing one skill, and should be about 15-60 seconds in duration. You may have a friend or family member video record you performing the course required skills. You will then upload your short video clips to your instructor, so your instructor can visually confirm that you successfully completed the course required physical skills. Once your instructor visually verifies that you have successfully completed all course required physical skills, you will be granted a full certification. If you have access to a swimming pool, computer, cell phone, and the internet, you’ll find this process to be Super-Easy & Ultra-Convenient! This VCT option is NOT available in all areas. Contact us to confirm availability before purchasing your course. Offering Safety Training to Remote Areas. Our world renowned VCT safety training program allows us to provide essential lifesaving training to individuals in remote areas of the world that could not otherwise obtain such an education or certification. Lifeguard-Pro is dedicated to making safety training more convenient and accessible. Lifeguard-Pro certificants protect millions of lives around the world -- every day! Join us in our mission "To Reduce the Number of Deaths by Drowning Worldwide by Making Safety Training More Available." Take Advantage of this Amazing Opportunity! Good News -- The VCT option is $100 LESS than the traditional In-Person Training option because you do not require our instructor to travel to you or provide you with a training facility. Local Instructors Will Conduct Your Class -- Even If You're the Only Candidate in the Class! Q6: Do You Offer Classes in My Local Area? Do You Offer Classes in My Local Area? YES, We Offer ONE-DAY In-Person Training Sessions in Your Local Area! We Service All 50 U.S. States, Over 1,500 American Cities, and Over 30 countries. Lifeguard-Pro is widely known for offering the world's most convenient and available Lifeguard & Water Safety Instructor certification courses. Our certification courses are conducted in two easy parts. The first part of your course will be our online preparatory Home-Study Course. This part of the course includes all of your textbooks, videos, written exams, forms, record-keeping, customer service, and certification card. You can work on your online preparatory Home-Study Course from anywhere you have a computer and internet connection. The second part of your course will be your a ONE-DAY In-Person Training Session in your local area at the location and date you reserve. That's right you select the location and date! Local Instructors will conduct your ONE-DAY In-Person Training Session -- even if you're the only candidate in the class! We conveniently offer the ONE-DAY In-Person Training Sessions 12 months a year in all 50 U.S. states, over 1,500 American cities, and over 30 countries around the world -- so wherever you are, we're nearby! Obtaining your Lifeguard or WSI Certification has Never Been this Easy! View our list of ONE-DAY In-Person Training locations. If you have a pool or classroom available to you, just let us know. Your instructor might be able to train you at your facility! You Select the Location & Date of Your ONE-DAY In-Person Training Session! Q7: Where are the In-Person Training locations? The first part of your course will be our online preparatory Home-Study Course. This part of the course includes all your textbooks, videos, written exams, forms, record-keeping, customer service, and certification card. You can work on your online preparatory Home-Study Course from anywhere you have a computer and internet connection. The second part of your course will be your a ONE-DAY In-Person Training Session in your local area at the location and date you request. That's right you select the location and date! Local Instructors will conduct your ONE-DAY In-Person Training Session -- even if you're the only candidate in the class! To view our list of ONE-DAY In-Person Training locations. Lifeguard-Pro is dedicated to making aquatics safety training more convenient and available to help reduce the number of deaths by drowning worldwide. As a result, it is widely known that we offer the world's most convenient and available Lifeguard and Water Safety Instructor certification courses. We service all 50 U.S. states, over 1,500 American cities, and over 30 countries around the world. So, wherever you are... we're nearby! Groups & Employers. Lifeguard-Pro will train your group in an easy two-part format. Part One, your group members will complete a comprehensive, preparatory, online Home-Study Course at their convenience. They can complete the Home-Study Course from the comfort and convenience of their own home, and work at their own pace. Allowing the candidates to complete 50% of their certification course from home (and off the employer's clock) can save the employer a great deal of time and money! 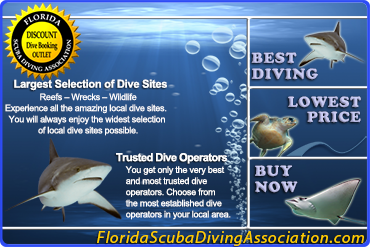 Part Two, local certified instructors will come to your facility and train your group on the date you reserve. Because we use only professional instructors (no volunteers) and your candidates have already successfully completed the comprehensive, online preparatory Home-Study Course, the instructors can usually conduct your entire In-Person Training in just ONE-DAY! Shorter In-Person Training can save the employer a great deal of time and money! Superior Risk Management. Not only does Lifeguard-Pro provide you with the world's most convenient and available Lifeguard and Water Safety Instructor certification courses, we protect you in the event of a personal injury or wrongful death lawsuit against your aquatics facility. As a built-in and required component of our certification courses, Lifeguard-Pro documents the knowledge and training provided to your candidates. This training documentation definitively demonstrates that the employer fully complied with all regulations and insurance requirements in obtaining the required safety training for their staff. In the event of a personal injury or wrongful death lawsuit against your aquatics facility, you'll be thankful that you can PROVE that you provided the requisite safety training to your staff. Lifeguard-Pro is the only internationally or nationally recognized Lifeguard or Water Safety Instructor certification organization to provide such documentation. We document and verify training to guarantee quality assurance and legally protect the employer! Lowest Price Guarantee. Not only does Lifeguard-Pro provide you with our ulta-convenient certification program, we also offer a LOWEST PRICE GUARANTEE! Lifeguard-Pro is a nationally and internationally recognized certification course agency. We offer services in all 50 U.S. states, more than 1,500 U.S. cities, and over 30 countries around the world. For your convenience, Lifeguard-Pro allows you to purchase your certification course in two equal payments (Home-Study Course fee & In-Person Training fee). Fee 1 - Home-Study Course. This fee is half of your total Lifeguard-Pro certification course cost. You must purchase this item to access your online preparatory Home-Study Course. You must successfully complete this course before you can attend your In-Person Training Session. Includes: All required materials for you to prepare for your In-Person Training Session, such as online course instructions, textbooks, videos, exams, forms, certification card, customer service, and official record-keeping. Does Not Include: Your In-Person Training fee, which is usually 50% of your total Lifeguard-Pro certification cost. This fee is NOT paid now. Rather, it is paid directly to your In-Person Training Instructor AFTER you scheduled an In-Person Training location, date, and time that is agreeable to you. This payment policy helps ensure that you will receive an In-Person Training Session that is convenient for YOU! Price: The prices of all Home-Study Courses are listed in the table below. The Home-Study Course fee is usually 50% of your total Lifeguard-Pro certification cost. The Terms & Conditions of Sale are published here: https://www.lifeguard-pro.org/terms-conditions. Fee 2 - In-Person Training . At your ONE-DAY In-Person Training Session, you will learn and practice all your course required physical skills, while under the supervision of your local instructor. The In-Person Training fee is half of your total Lifeguard-Pro certification course cost. You will pay your In-Person Training fee directly to your In-Person Training Instructor AFTER you have scheduled the date, time, and location for your ONE-DAY In-Person Training Session. This payment policy helps ensure that you will receive an In-Person Training Session that is convenient for YOU! Includes: All course required In-Person Training conducted by your local instructor. Does Not Include: Your Home-Study Course fee, which is usually 50% of your total Lifeguard-Pro certification cost. Price: The price of your In-Person Training is usually 50% of your total Lifeguard-Pro certification cost. In-Person Training Fee is NOT Included. Unless otherwise indicated, the prices above represent tuition for your Home-Study Course ONLY. Your In-Person Training fee is NOT included in the prices above. In-Person Training fee is usually equal to the Home-Study Course Fee. The In-Person Training Fee will be paid directly to your In-Person Training Instructor only AFTER you have scheduled your In-Person Training Session. This payment policy helps us ensure that you will receive an In-Person Training Session that is convenient to YOU! Discount Code. If you have a Discount Code, apply it to your Home-Study Course fee, and then issue your payment check to Lifeguard-Pro for the resulting amount. If you do not write your Discount Code in the Memo Section on your check/money order it will not be deducted from your amount due. Course Descriptions. All Lifeguard-Pro certification course purchases are subject to the certification course descriptions published here: https://www.lifeguard-pro.org/select-your-course. Terms & Conditions of Sale. All Lifeguard-Pro certification course purchases are subject to the terms & conditions of sale published here: https://www.lifeguard-pro.org/terms-conditions. To start your course immediately, use our innovative quick & convenient Pay-by-Email service. Like most academic institutions, we do NOT accept credit cards for the purchase of educational services. Payment by check or money order is required. Only USA checks and money orders are accepted. Payment instructions for non-USA businesses and non-USA individuals are available upon request. On the back of your check (on the endorsement line) clearly write “LIFEGUARD-PRO FOR DEPOSIT ONLY”. Using your cell phone, photograph the front and back of your check. Hold Camera Directly Above Check. Hold the camera 6-12 inches directly above the check (photos taken on a slant or angle cannot be accepted). Hold the camera still with both hands (blurry photos cannot be accepted). Make sure your check is adequately lighted (photos with shadows or bright white spots from over exposure cannot be accepted). Ensure all four corners of the check are in the camera viewfinder, so that the photograph captures the entire check (photos of partial checks cannot be accepted). Ensure the check is in focus through the camera lens, so that all portions of the check are clearly legible (photos of illegible or blurry checks cannot be accepted). Lightly press the camera shutter button to capture your photo (be careful not to press the camera shutter button too hard because it could cause the camera to move and result in a blurry photo). Photograph Other Side of Check. Repeat this process to take a photo of the other side of your check (we need a crisp, clear, well-lit photo of the front and back of your check). Write “PAID” on Your Check. Upon receiving the two photos of your check (front & back), we will process your payment. We will email you that your check has been received and processed. You may then write “PAID” on your check for your own personal records. Upon receiving the two photos of your check (front & back), we will email to you: (A) Your assigned Username & Password; (B) Instructions on how to immediately start your course; and, (C) How to contact your In-Person Training Instructor to schedule your In-Person Training Session. Payment is Super-Fast & Ultra-Convenient! If you prefer to pay via traditional postal mail, your payment will be credited when Lifeguard-Pro receives your check or postal tracking number. To pay via postal mail, simply follow the instructions below. Need to Start Your Course Immediately? Provide Tracking Number to Lifeguard-Pro. We will promptly email to you your assigned Username & Password, so you can immediately start your course. Upon receiving your payment (or Postal Tracking Number), we will email to you: (A) Your assigned Username & Password; (B) Instructions on how to immediately start your course; and, (C) How to contact your In-Person Training Instructor to schedule your In-Person Training Session. Mail with a Postal Tracking Number and start your course today! Our friendly customer service team is available to help you from 9 am-9 pm EST, 7-days a week! Students outside of the USA can always contact us for FREE via Skype -- chat or talk LIVE with our friendly customer service team! We’re dedicated to making your certification course both educational and fun! Q10: After Purchasing, How Do I Start & Complete My Course? After Purchasing, How Do I Start & Complete My Course? After Purchasing, How Do I Start My Course? (3.) Follow the instructions on the webpage. How Do I Complete My Course? (1.) Go to Lifeguard-Pro.org and login using the Username & Password that Lifeguard-Pro assigned to you. (2.) From the center of the webpage, click the blue button “Start>>[name of your course]” or select the gray tab “Start Your Course” at the top of any Lifeguard-Pro.org webpage (the tab is only visible when you are logged in). Then, click the blue button “Start>>[name of your course]” from the center of the webpage. (3.) The resulting course instructions webpage will display the complete instructions for your Home-Study Course and In-Person Training Session; read your course instructions webpage CAREFULLY & THOROUGHLY. Frequently Asked Questions: If after carefully reading your "Start Your Course" (course instructions) webpage, you still have questions about your course, review our Frequently Asked Questions (FAQ) webpage. It provides you with immediate and detailed answers to every question routinely asked by our students. Remember, the fastest and most detailed answer to your question is already displayed on your "Start Your Course" (course instructions) webpage, and our Frequently Asked Questions (FAQ) webpage. Those two instructional webpages provide you with immediate and detailed answers to everything you need to know to successfully complete your course. Customer Service: If you prefer not to read your course instructions webpage or our Frequently Asked Questions (FAQ) webpage, simply contact our national office for assistance. Our friendly team of professionals is available to assist you from 9:00 am - 9:00 pm EST, 7-days a week via email and phone. Customer Service - Level 1: Our first level of customer service assistance is to read your "Start Your Course" (course instructions) webpage with you. Customer Service - Level 2: Our second level of customer service assistance is to read our Frequently Asked Questions (FAQ) webpage with you. Customer Service - Level 3: Our third level of customer service assistance is to refer you to a Customer Service Supervisor because your question cannot be answered by your "Start Your Course" (course instructions) webpage nor our Frequently Asked Questions (FAQ) webpage. (2) Once logged in to Lifeguard-Pro.org with your purchased Username & Password, a function or feature of our website is not working properly for you. Be advised that our Technical Support team is not capable of answering any customer service or sales questions. To request a swift response from our Technical Support team, email your name (exactly as it is registered with Lifeguard-Pro), and a detailed description of your technical problem to TechSupport@Lifeguard-Pro.org. They will promptly address your problem. Students Outside of the USA: Contact us via Skype and talk or chat LIVE with us for FREE from anywhere in the world! Our Skype username is "Lifeguard-Pro.org". Q11: How Do I Schedule My In-Person Training Session? How Do I Schedule My In-Person Training Session? Schedule Directly with Local Instructor. Upon purchasing your online, preparatory Home-Study Course, Lifeguard-Pro will email to you with the direct contact information for your local instructor. Contact your local instructor directly to schedule your ONE-DAY In-Person Training Session. Schedule at Any Time. You may schedule your local ONE-DAY In-Person Training Session at the time you purchase your Home-Study Course or at any time after purchasing your Home-Study Course. Once you and your local instructor agree on a date, time, and location for your local In-Person Training Session, you should attend that session. Select Your Location & Date. We offer our convenient ONE-DAY In-Person Training Sessions in all 50 U.S. states, over 1,500 American cities, and over 30 countries around the world -- So, wherever you are, we're nearby! You can choose the location and date of your In-Person Training Session. Local Instructors will train you -- even if you're the only candidate in the class! Pay at Start of In-Person Training Session. When you arrive at your In-Person Training session, simply pay your local Instructor the In-Person Training fee at the start of your class. This payment policy ensures that you will never have to pay in the hope of obtaining a convenient In-Person Training Session because you will only pay for the class that YOU selected! The World's Most Convenient & Available Lifeguard & WSI Courses! Q12: How Do I Get Technical Support? Need Help with Login Problems or Website Malfunction? (2) Website Feature Broken. Once logged in to your purchased online course, a Lifeguard-Pro.org website feature or function is not working properly. If your problem is not one of the two issues noted above, please Customer Service (and not Technical Support) for assistance. To contact our Technical Support team, simply email TechSupport@Lifeguard-Pro.org for a prompt response. Be sure to include a detailed description of your problem, and any screenshot images that might help them understand and quickly solve your problem. Our Technical Support team will promptly address your problem, and notify you as soon as it has been resolved. Please, keep in mind that our Technical Support team is not capable of answering any customer service or sales questions. If you are not pleased with the response from our Technical Support team, please contact Customer Service. How Will My Certification Card be Delivered to Me? As a student with a postal mailing address inside of the USA, we can provide you with your certification card via any of the following methods. We will postal mail your certification card to any USA postal mailing address for FREE. After you successfully complete your certification course, check the box "ISSUE MY CERTIFICATION" from within your Lifeguard-Pro.org "PROFILE", and then click "SAVE". We will then postal mail your certification card to your USA postal mailing address usually within 1-3 days. Check your Lifeguard-Pro "PROFILE" page to confirm that you have provided all required information, and your USA postal mailing address is complete and correct. If the address you provide in your "PROFILE" is incomplete or incorrect, we cannot be responsible for delivery failure. If you prefer a digital certification card instead of a plastic card, upon your request, we will email a high-resolution, color, image of your certification card to you. You may save your high-resolution, digital certification card to your computer or phone and/or print to paper. All high-resolution, digital certification cards are verifiable in our online international certification database, and have the same validity and privileges as our physical, plastic certification cards. Postal Mailed to You for FREE Usually in 1-3 Days! As a student residing outside of the USA, we can provide you with your certification card via any of the following methods. We can postal mail certification cards to students residing outside of the USA only after a $25 U.S.D. international mailing fee has been paid to Lifeguard-Pro via U.S. check (delivered by postal mail or email), bank wire, or bank deposit. Contact us for detailed payment instructions. 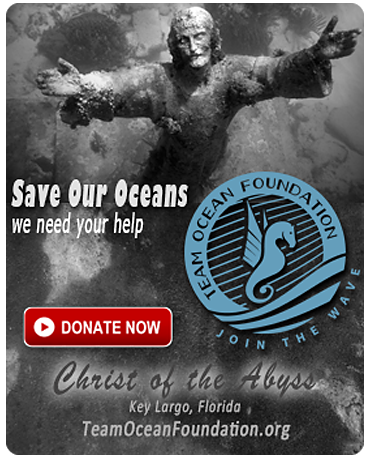 If you are residing outside of the USA and you do not want to pay the $25 U.S.D. international postal mailing fee to receive your certification card, we can postal mail your certification card to you at any USA mailing address for FREE. (C) On your Lifeguard-Pro PROFILE page, check the box ISSUE MY CERTIFICATION, and then click SAVE. Your certification card will be issued and mailed to the USA postal mailing address you provided -- usually within 3 business days. If you do not wish to pay the $25 U.S.D. international postal mailing fee, and you do not have a USA postal mailing address, we can still deliver your certification card to you for FREE. At your request, we will email to you a high-resolution, color, image of your certification card, which you may save on your computer or phone, and even print to paper. This digital certification card will be verifiable in our online international certification database, and is has the same validity as our plastic certification cards. (C) On your Lifeguard-Pro PROFILE page, check the box ISSUE MY CERTIFICATION, and then click SAVE. Your certification card will be issued and emailed to the email address your provided -- usually within 3 business days. Q15: How Do I Obtain Immediate Proof of Certification? How Do I Obtain Immediate Proof of Certification? NEED IMMEDIATE PROOF OF CERTIFCATION? If you have completed your entire certification course, and are waiting for your physical certification card to arrive in the postal mail; but, now need immediate proof of certification, we can help you for FREE. Are you Eligible to Print Your Immediate Proof of Certification? (5) Checked the box ISSUE MY CERTIFICATION from within your Lifeguard-Pro PROFILE (make sure you clicked SAVE after editing your PROFILE to save the selection). (2) To immediately print your proof of certification, follow the detailed print instructions provided below. A new webpage will open. After inputting the requested cardholder's information (First Name, Last Name, and Certification Number) into the form, click SUBMIT. The cardholder's "Official Certification Record" will display on the resulting webpage. The cardholder's "Official Certification Record" will display all of the cardholder's certifications issued by Lifeguard-Pro and each card's corresponding expiration date. You may save your "Official Certification Record" on paper or as an image, and distribute it to any interested party. This "Official Certification Record" is a valid and authentic verification of your certification, which has the same value as your physical certification card. Since printers often move images and characters on a webpage when printing to paper, it is advised that you first save your "Official Certification Record" via a screenshot (image). Then, print the screenshot (image) to paper. How Do Obtain Immediate Proof of Certification? Q16: How Do I Verify a Lifeguard-Pro Certification Online? How Do I Verify a Lifeguard-Pro Certification Online? Go to Lifeguard-Pro.org, and click the gray tab entitled VERIFY CERTIFICATION (located at the top of the webpage). On the resulting webpage, enter the requested employer information (optional), if you know it -- otherwise, skip it. Then, click SUBMIT. Input the cardholder's information into the webpage form, and then click SUBMIT. The cardholder's "Official Certification Record" will display all of the the cardholder's certifications issued by Lifeguard-Pro and their corresponding expiration dates. You may save your "Official Certification Record" on paper or as an image, and give it to any interested party. This "Official Certification Record" is a valid and authentic verification of your certification. It has the same value as your physical certification card. Q17: How Do I Order a Replacement Card? For your convenience, Lifeguard-Pro has a REPLACEMENT CARD service for only $25.00. For a convenience fee of only $25.00 U.S.D., we will issue and postal mail your REPLACEMENT CARD to your USA postal mailing address. Lifeguard-Pro cannot process or postal mail any REPLACEMENT CARD, until payment is received in full. Delivery via Postal Mail. Students requesting us to postal mail a REPLACEMENT CARD to an address outside of the USA must pay to Lifeguard-Pro the $25.00 U.S.D. REPLACEMENT CARD fee, plus an additional $25.00 U.S.D. international postal mailing and processing fee. Delivery via Email. If you do not want to pay the $25.00 U.S.D. international postal mailing and processing fee, then you can request a high-resolution, color image of your REPLACEMENT CARD be emailed to you at the standard $25.00 U.S.D. fee. This digital image of your certification card can be downloaded to your computer or phone, or printed to paper. The digital certification card is verifiable in the Lifeguard-Pro online international certification verification database, and provides the same privileges as our waterproof, plastic certification cards. Lifeguard-Pro cannot process or send any REPLACEMENT CARD, until payment is received in full. Email to Payment@Lifeguard-Pro.org the two images of your check, with (A) A brief message stating that you are requesting a REPLACEMENT CARD; and, (B) Your contact info (name, phone, email, and the mailing address to where you would like us to mail your card). Upon receiving your payment, we will promptly process your request and email your REPACEMENT CARD to you, usually within 1-3 business days. Upon receiving your payment, we will promptly process your request and postal mail your REPACEMENT CARD to you, usually within 1-3 business days. If all you need is Proof of Certification, and not your physical certification card, Lifeguard-Pro offers a FREE and quick solution. See our Frequently Asked Question, "How Do I Obtain Immediate Proof of Certification?" Q18: For How Long is a Lifeguard-Pro Certification Valid? For How Long is a Lifeguard-Pro Certification Valid? Lifeguard-Pro offers perhaps the most respected Lifeguard and Water Safety Instructor certifications in the entire country. Annual Recertification. To ensure that our Lifeguards and Water Safety Instructors are better prepared to protect themselves and the public safety, they are required to renew their certifications annually. Undoubtedly, this requirement makes our Lifeguards and Water Safety Instructors better prepared than other Lifeguards and Water Safety Instructors that don’t review their safety training as frequently. Annual certification training, is one of the principle reasons that Lifeguard-Pro is widely considered to be simply a better life saving certification training program and risk management solution. More safety training translates into fewer accidents, fewer lawsuits, and better public safety. Don’t worry, annual renewal is quick, convenient, and inexpensive. Employers Love Lifeguard-Pro. Employers love Lifeguard-Pro because they understand that annual safety training leads to fewer accidents and fewer costly lawsuits, which potentially saves lives and millions of dollars. Parents Love Lifeguard-Pro. Parents love Lifeguard-Pro because they understand that their children are safer in the water when supervised by a Lifeguard that has been trained annually on how to best protect their children's lives. Lifeguards Love Lifeguard-Pro. Lifeguards love Lifeguard-Pro because they understand that the more safety training they receive, the more capable they are of saving the lives of swimmers, and the better they can protect themselves from the dangers of lifeguarding. Isn’t It Time You Upgraded to Lifeguard-Pro? Most login errors can be easily fixed with the solutions provided below. Before phoning customer service for assistance, review the quick & easy solutions below. Please note, our first level of customer service is to read to you each of these 7 solutions below -- that almost always cures the problem! Only the Username & Password that we assigned to you, after you purchased your Home-Study Course, will enable you to login to Lifeguard-Pro.org and view course materials. If our customer service team did not provide you with your Username & Password, then you will not be able to login to Lifeguard-Pro.org and view your course materials. When entering your assigned Username & Password in to the Lifeguard-Pro login fields, make sure that you enter the Username and Password EXACTLY as we provided it to you. Both your Username & Password are case sensitive, and require proper capitalization. Failure to enter your assigned Username & Password in to the login fields on Lifeguard-pro.org (EXACTLY as we provided it to you) will prevent you from being able to successfully login to Lifeguard-Pro.org. Make sure that there are no blank spaces before or after either your Username or Password, when you enter the Username & Password in to the Lifeguard-Pro.org login fields. A blank space before or after your assigned Username or Password will prevent you from being able to successfully login to Lifeguard-Pro.org. Do not copy & paste your assigned Username or Password in to the Lifeguard-Pro.org login fields. Often times copying and pasting will add a blank space to the copied and pasted information, which will prevent you from being able to successfully login to Lifeguard-Pro.org. Make sure that there are no blank spaces before or after either your Username or Password when you enter the Username & Password in to the Lifeguard-Pro.org login fields. A blank space before or after your assigned Username or Password will prevent you from being able to login to Lifeguard-Pro successfully. If you logged in to Lifeguard-Pro.org, and then remained idle for a significant period of time, Lifeguard-Pro.org will log you out. However, the browser (Chrome, Firefox, Internet Explorer, Safari, etc.) on your computer may still think that you are logged in to Lifeguard-Pro.org. This confusion can prevent you from being able to access your course materials inside Lifeguard-Pro.org. The solution is easy! Just delete your browser (Chrome, Firefox, Internet Explorer, Safari, etc.) history and cache on your computer. If you do not know how to delete your browser history & cache, simply ask Google. Search "How to delete [name of browser: Chrome, Firefox, Internet Explorer, Safari, etc.] browser history & cache". Then, follow the simple instructions. Upon deleting your browser history & cache, both Lifeguard-Pro.org and your browser will now know that you are properly logged out of Lifeguard-Pro.org. Then, you can properly login to Lifeguard-Pro.org. The easiest way to avoid this problem is to log out of Lifeguard-Pro.org, when you are finished working on your course materials. (6) When I Login and Click "START YOUR COURSE>> [Name of Course]", Lifeguard-Pro.org States "You are Not Authorized to View this Page!" When you login to Lifeguard-Pro.org, and click "START YOUR COURSE>> [Name of Course]", you will be directed to your course instructions page. Your course instructions page provides you with all of your course instructions and materials to complete your course (e.g., textbooks, videos, exams, forms, etc.). You are only authorized to view the course instructions page for the course that you purchased (e.g., Lifeguard, Lifeguard Instructor, Water Safety Instructor, Water Safety Instructor Trainer, Basic Water Safety, CPR Only, or First Aid Only). If you successfully login to Lifeguard-Pro.org, but when you click on "START YOUR COURSE>>[Name of Your Course]", you are prevented from viewing the course instructions page for that course, then you either didn't purchase that course or our customer service team didn't provide you with the correct permissions. If you did indeed purchase a course and you cannot view that course's instructions page, then contact customer service. Request customer service to correct your login permissions to enable you to access the instructions page for the course that you purchased. Note, purchasing a Lifeguard course will permit you to access only the Lifeguard course instructions page ("START YOUR COURSE>>LIFEGUARD"). This page includes the course instructions for all Lifeguard courses, and the included CPR for Healthcare Provider course, and First Aid course. 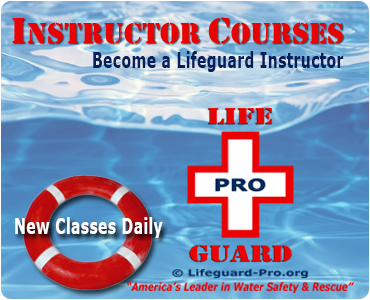 Stated another way, the Lifeguard course instructions page, includes all of the Lifeguard, CPR, and First Aid instructions and materials that you will need to successfully complete any Lifeguard-Pro Lifeguard course. Purchasing a Lifeguard course will NOT allow you to view the "START YOUR COURSE>> WATER SAFETY INSTRUCTOR" course instructions page, "START YOUR COURSE>> CPR" course instructions page, nor "START YOUR COURSE>> FIRST AID" course instructions page. If you could not fix your login problem with the above remedies, email TechSupport@Lifeguard-Pro.org, and report your technical problem to them. Our Technical Support team will first test each of the above remedies. If none of the above remedies enable you to login and access your course instructions page, then our Technical Support team will reset your Username & Password. Our Technical Support team will then email to you a new Username & Password, which will enable you to successfully login to Lifeguard-Pro.org and access your course instructions and materials. Q20: Can I Host a Group Training Class at My Facility? Can I Host a Group Training Class at My Facility? Host a Group Training Class at Your Facility. Lifeguard-Pro let's you, the employer or group organizer, affordably host your group safety training certification training at your facility on the date you reserve! We service all 50 U.S. states, over 1,500 American cities, and over 30 countries -- so, wherever you are, we're nearby! Our LOWEST PRICE GUARANTEE can't be beat! Make Your Employee an Instructor -- Slash Your Certification Costs by 65-90% ! Becoming a Lifeguard Instructor or Water Safety Instructor Trainer (WSIT) is easier and quicker than you might think. In a few short days, we can train one of your employees to become an instructor. Then, your employee instructor can conduct your course required In-Person Training Session to certify your employees. Not only will you gain greater control over your required employee safety training, but you'll also slash your certification costs by an amazing 65-90%! Take a look at the incredibly low certification course costs, when your employee is the instructor providing your course required In-Person Training. Slash Your Certification Costs by 65-90% ! Q21: How Long Until I Receive My Certification Card? How Long Until I Receive My Certification Card? (3) Check the box ISSUE MY CERTIFICATION in your Lifeguard-Pro.org PROFILE -- don't forget to click SAVE to save your edits to your PROFILE. We will then postal mail your certification card to you at the EXACT mailing address that you provided in your Lifeguard-Pro.org PROFILE. Postal delivery typically takes an additional 3-7 days. Mailing Address Outside of USA. Students with mailing addresses outside of the U.S.A. and students without a U.S.A. postal mailing address should refer to our Frequently Asked Questions (FAQ) "How Will My Certification Card be Delivered to Me? (Students Outside of USA)"
See our Frequently Asked Question, "How Do I Obtain Immediate Proof of Certification?" Q22: Why Won't My Certification Request Form Upload to My Profile? Why Won't My Certification Request Form Upload to My Profile? (1) FILE IS TOO BIG. It states on your PROFILE page, your file must be LESS than 10.0 mb in size. If the file you are attempting to upload to your Lifeguard-Pro.org PROFILE is 10.0 mb in size or greater, it will NOT upload. Your internet browser (e.g., Chrome, Firefox, Internet Explorer, Safari, etc.) will not allow any file of 10.0 mb size or larger to be uploaded to your PROFILE. This is not a Lifeguard-Pro restriction. It is an internet browser (e.g., Chrome, Firefox, Internet Explorer, etc.) restriction. To determine the size of your file, simply right click on the file and select PROPERTIES. If your file is 10.0 mb or greater, it must be reduced in size or it will not upload to your PROFILE. The solution is to search Google.com for "How to Reduce File Size of [your file format: JPG, PDF or PNG]." Then, follow the instructions to resize your JPG, PDF or PNG file, so that it becomes LESS THAN 10.0 mb. Once the file is smaller than 10.0 mb, you should be able to successfully upload the file to your Lifeguard-Pro.org PROFILE. (2) WRONG FILE FORMAT. To successfully upload your Certification Request Form to your Lifeguard-Pro.org PROFILE, your file must be in one of the following formats: (A) JPG; (B) PDF; (C) PNG; (D) TIF; (E) DOC; or (F) DOCX. If your file is not in one of these formats, you must convert the file to one of these formats. The solution is to search Google.com for "How to Convert [your current file type] file to [your required file type: JPG, PDF, PNG, TIF, DOC, or DOCX]". Then, follow the instructions to convert your file into a JPG, PDF, PNG, TIF, DOC or DOCX file. You should, then, be able to successfully upload your file to your Lifeguard-Pro.org PROFILE. (3) UPLOAD ONE FILE AT A TIME. Upload only one document at a time. Upload one file, and then click SAVE. Then, upload your next file, and click SAVE. Repeat this one-at-a-time upload process, until you have uploaded all of your forms to your PROFILE. (4) INTERNET CONNECTION IS BAD. Check your internet connectivity to confirm that it is ON and working properly. The solution is to reboot your computer and/or router. Once you confirm that your internet connectivity is ON and working properly, try uploading your file to your Lifeguard-Pro.org PROFILE. If you are still unsuccessful in uploading your file to your Lifeguard-Pro.org PROFILE, try uploading the file from another device (e.g., desktop computer, laptop, tablet, or phone). After uploading your Certification Request Forms to your Lifeguard-Pro.org PROFILE, click SAVE to save your uploaded forms in your Lifeguard-Pro.org PROFILE. Once you have confirmed that none of the above common problems are responsible for your inability to upload your Certification Request Form to your Lifeguard-Pro.org PROFILE, you may email the files you are attempting to upload to TechSupport@Lifeguard-Pro.org for review. Please be advised, your file will be emailed back to you for you to correct, if your file is 10.0 mb or larger in size or the wrong file format. Q23: How Do I Request My Certification Card? How Do I Request My Certification Card? Once your have successfully completed your all of your required reading, videos, exams, and In-Person Training, you may request your certification card. Before we can issue your certification card, you must perform the following. (1) Fill In Your Profile Information. Login to Lifeguard-Pro.org. Then, select the gray tab PROFILE located at the top of the page. Verify your course selections checked for you are the same courses for which you are requesting a certification. After making edits to your PROFILE, you must click SAVE to save your edits. (2) Check Box ISSUE MY CERTIFICATION. After you have verified that you have correctly provided all of the information required in your PROFILE, login to your PROFILE. Lifeguard-Pro will commence verifying all of the information in your PROFILE. If you correctly provided all the required information in your PROFILE, Lifeguard-Pro will promptly issue and postal mail your certification card(s) to you at the mailing address you provided in your PROFILE. Failure to provide complete and correct information in your PROFILE will delay the processing of your certification. After successfully completing the requirements above, we will postal mail your certification card to you at the EXACT mailing address you provided in your Lifeguard-Pro.org PROFILE. We fulfill most certification card requests in 1-3 days. Postal delivery typically takes an additional 3-7 days. Students outside of the U.S.A. and students without a U.S.A. postal mailing address should refer to our Frequently Asked Question (FAQ) "How Will My Certification Card be Delivered to Me? (Students Outside USA)". If you have completed your entire certification course, and are waiting for your physical certification card to arrive in the postal mail; but, now need immediate proof of certification, we can help you for FREE. See our Frequently Asked Question, "How Do I Obtain Immediate Proof of Certification?" Q24: How Does Lifeguard-Pro Compare to ARC? How Does Lifeguard-Pro Compare to ARC? NOT FAMILIAR WITH LIFEGUARD-PRO YET? If you are one of the few aquatics professionals around the globe that is not yet familiar with Lifeguard-Pro, you can quickly and easily learn more about us. Lifeguard-Pro is a world leader in water safety & rescue! For a detailed comparison of the Lifeguard-Pro and ARC Lifeguard certification courses, click the button below. See for yourself how Lifeguard-Pro meets or exceeds ARC standards in important training details. Lifeguard-Pro creates superior Lifeguards! >>HOW DOES LIFEGUARD-PRO COMPARE TO ARC? Q25: How Do I Learn More about the Lifeguard Courses? How Do I Learn More about Lifeguard Courses? Lifeguard-Pro offers the world's most convenient and available Lifeguard courses. Click that gray circle icon. The resulting "Lifeguard Certification Courses" webpage will provide you with all of the details about our nationally & internationally recognized Lifeguard certification courses. For your convenience, you can also click on the blue button below to take you directly to our "Lifeguard Certification Courses" webpage. Q26: How Do I Learn More about the Water Safety Instructor (WSI) Courses? How Do I Learn More about WSI Courses? Lifeguard-Pro offers the world's most convenient and available Water Safety Instructor (WSI) courses. The resulting "Water Safety Instructor Courses" webpage will provide you with all of the details about our nationally & internationally recognized Water Safety Instructor courses. For your convenience, you can also click on the blue button below to take you directly to our "Water Safety Instructor Courses" webpage. Q27: How Do I Learn More about the CPR & First Aid Courses? How Do I Learn More about CPR & First Aid Courses? Lifeguard-Pro offers the world's most convenient and available CPR & First Aid courses. The resulting "CPR & First Aid Courses" webpage will provide you with all of the details about our nationally & internationally recognized CPR & First Aid courses. For your convenience, you can also click on the blue button below to take you directly to our "CPR & First Aid Courses" webpage. Q28: How Do I Learn More about the Lifeguard Instructor Courses? How Do I Learn More about Lifeguard Instructor? Lifeguard-Pro offers the world's most convenient and available Lifeguard Instructor courses. The resulting "Lifeguard Instructor Courses" webpage will provide you with all of the details about our nationally & internationally recognized Lifeguard Instructor courses. For your convenience, you can also click on the blue button below to take you directly to our "Lifeguard Instructor Courses" webpage. Q29: How Do I Learn More about the Water Safety Instructor Trainer (WSIT) Courses? How Do I Learn More about WSIT Courses? Lifeguard-Pro offers the world's most convenient and available WSIT courses. The resulting "Water Safety Instructor Trainer Courses" webpage will provide you with all of the details about our nationally & internationally recognized Water Safety Instructor Trainer courses. For your convenience, you can also click on the blue button below to take you directly to our "Water Safety Instructor Trainer Courses" webpage. Q30: How Do I Become a Lifeguard-Pro Training Center? How I Become a Lifeguard-Pro Training Center? Lifeguard-Pro offers incredible Training Center opportunities in all 50 U.S. states & over 30 countries around the world. The resulting "Become a Training Center" webpage will provide you with the details about our nationally & internationally recognized Training Center opportunities. For your convenience, you can also click on the blue button below to take you directly to our "Become a Training Center" webpage. Q31: What If My Employer Thinks They Can Only Accept ARC Certifications? What If My Employer Thinks They Can Only Accept ARC Certifications? Lifeguard-Pro offers the world's most convenient and available Lifeguard & Water Safety Instructor certification courses. Lifeguard-Pro certifications are accepted and/or approved across the United States and in over 30 countries around the world. Lifeguard-Pro and ARC curriculums for CPR, AED, First Aid, Bloodborne Pathogens, Oxygen Administrator, Lifeguard, and Water Safety Instructor are highly regulated by the U.S. state governments. Consequently, these Lifeguard-Pro and ARC curriculums are essentially the equivalent. Lifeguard-Pro and ARC candidates learn essentially the same knowledge and skills, and can work harmoniously side-by-side. If your organization or employer has published guidelines that are not yet updated to accept Lifeguard-Pro certifications, simply email those guidelines to info@Lifeguard-Pro.org, with the contact info for the persons authorized to update those guidelines. Lifeguard-Pro will contact those persons and request that those guidelines be updated to include Lifeguard-Pro because Lifeguard-Pro is a nationally recognized certification agency. Below are common misconceptions about ARC and Lifeguard-Pro, and the correct responses to those misconceptions. Does your employer think that only ARC services all 50 U.S. states? 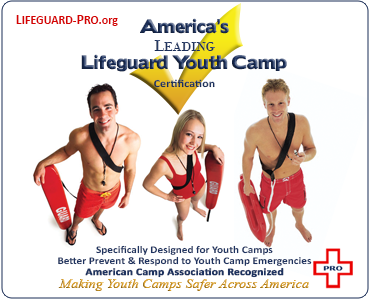 Lifeguard-Pro is indeed nationally recognized and services all 50 U.S. states. Lifeguard-Pro now offers more Lifeguard and WSI certification courses than the ARC. Lifeguard-Pro is the new “World Leader in Water Safety & Rescue”. Does your employer think that the ARC and Lifeguard-Pro curriculums are somehow different? The Lifeguard-Pro and ARC Lifeguard & WSI curriculums are standardized and have been deemed equivalent by state governments across the USA. Does your employer think that the ARC and Lifeguard-Pro CPR & First Aid curriculums are somehow different? The Lifeguard-Pro and ARC CPR & First Aid curriculums are standardized and have been deemed equivalent by state governments across the USA. Does your employer think that obtaining an ARC Lifeguard Instructor AND Water Safety Instructor certification is more convenient or even possible? Lifeguard-Pro offers the nation’s most convenient and available Lifeguard & WSI certification courses. We service all 50 U.S. states, over 1,500 U.S. cities, and over 30 countries around the world – 7-days a week! In many areas a convenient, local ARC WSIT course is extremely difficult to find; and, it limits the trainer to only teaching at Authorized Service Provider locations after the Authorized Service Provider has applied to the ARC and paid the Authorized Service Provider fee to the ARC, which can be VERY EXPENSIVE. Because Lifeguard-Pro is dedicated to reducing the number of deaths by drowning by making aquatic safety training more convenient and available than ever before, we eliminate these financial and administrative barriers for Instructors. We believe that it should be convenient and affordable to become a lifesaving Instructor. Does your employer think that ARC employs a better teaching faculty? ARC uses as lifesaving instructors, volunteers, part-timers, and low paid employees; and, these are the people that are charged with providing you with high-quality lifesaving instruction. 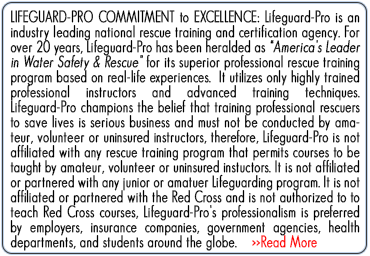 Lifeguard-Pro believes that training citizens to save lives requires professional instructors. You deserve professional lifesaving instructors. Lifeguard-Pro uses only professional rescue instructors to teach our lifesaving courses. Quality training results in better lifesavers! Does your employer think that ARC has better quality assurance? ARC is widely criticized for having insufficient quality assurance checks on their Instructor staff. Many criticize that the ARC’s failure to supervise their Instructors adequately leads to a public safety hazard by Instructors merely selling certification cards, rather than providing high-quality lifesaving training. Lifeguard-Pro has integrated numerous quality assurance measures to guarantee that no candidate can receive a Lifeguard-Pro Lifeguard or WSI certification card without having completed the entire program as originally intended. Lifeguard-Pro leads the industry in quality assurance! Does your employer think that ARC provides better liability protection for the employer or Instructor? The ARC Lifeguard and WSI programs are not specifically designed to protect the employer or Instructor from legal liability claims. Lifeguard-Pro implements several key measures (e.g., Liability Release Waiver, Assumption of Risk Waiver, Course Documentation, etc.) to provide the employer and Instructor with better legal liability protection. Lifeguard-Pro leads the industry in legal liability protection for employers and Instructors! 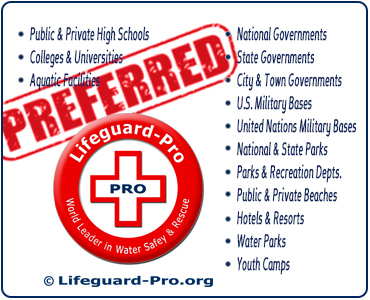 Lifeguard-Pro even offers Instructors optional Professional Liability Insurance at about $100/year – Unbeatable! Does your employer think that candidates prefer the ARC Lifeguard and WSI programs? Many employers and individuals complain that the ARC Lifeguard and WSI training programs are outdated, administratively burdensome, restrictive, time-consuming, and full of hidden costs (e.g., books, certification card, online training, required equipment, renewal fees, Instructor renewal fees, Authorized Service Provider fees, etc.). Lifeguard-Pro offers the world’s most convenient and available certification courses with an online preparatory Home-Study Course followed by a ONE-DAY In-Person Training Session available UPON YOUR REQUEST! Undoubtedly, thousands and thousands of candidates prefer the convenience of the Lifeguard-Pro training method! Does your employer think that the ARC Lifeguard or WSI certification grants more privileges or job opportunities to cardholders? Lifeguard-Pro and ARC are both considered to be "Nationally Recognized." To better protect the public and reduce the number of deaths by drowning, Lifeguard-Pro offers two additional Lifeguard courses that the ARC does not yet offer (e.g., Lifeguard-Deep Pool (max depth 20 ft.), and Lifeguard-Youth Camp). Unlike with the ARC, Lifeguard-Pro Instructors are not restricted to teach only at Authorized Service Provider locations or their local county; with Lifeguard-Pro, Instructors can teach across the USA and in over 30 countries around the world. With Lifeguard-Pro you actually have MORE privileges and MORE job opportunities! Does your employer fear change, and prefers ARC because that is the only program that he/she knows? Many aquatics professionals have complaints about the old, outdated, inconvenient, administratively burdensome, and expensive ARC Lifeguard & WSI programs; but they stuck with it because they didn’t know there was a better, more customer service friendly option. Lifeguard-Pro is dedicated to only one goal… to reduce the number of deaths by drowning worldwide by making aquatic safety training more convenient, available, and affordable. Therefore, Lifeguard-Pro has developed the world’s most convenient and available Lifeguard & WSI certification courses! Lifeguard-Pro is nationally recognized and deemed by state governments across the USA to be at least equivalent to the ARC Lifeguard program. Lifeguard-Pro is also internationally recognized and services over 30 countries around the world. 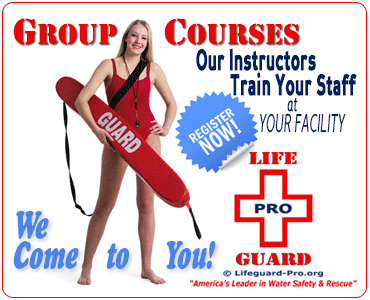 Lifeguard-Pro now offers more Lifeguard and WSI classes than the ARC. Lifeguard-Pro is the new “World Leader in Water Safety & Rescue”. Lifeguard-Pro offers the industry’s best customer service from 9am-9pm ET, 7-days a week, and Technical Support 24-hours a day, 7-days a week! Lifeguard-Pro is the choice of individuals, businesses, governments, military, and insurance companies across the country and around the world. Isn’t it time you learned what your peers have already discovered? Lifeguard-Pro is the new “World Leader in Water Safety & Rescue”. U.S. state governments, U.S. Military, United Nations Multi-National Peace-Keeping Forces, Colleges, Universities, Public Schools, Private Schools, National Organizations, Multi-National Companies, Swim Schools, Aquatic Centers, Youth Camps, Water Parks, Public Beaches, Private Beaches, Health Clubs, Hotels, Resorts, etc. have chosen Lifeguard-Pro over ARC. They can’t all be wrong! Isn’t it time you upgraded too? Important Customer Service difference between Lifeguard-Pro and ARC. Unlike the ARC, we’re available to help you from 9am-9pm ET, 7-days a week.